Little or no emphasis should be laid about setting up a blog, but maintaining it , a true Chinese proverb says, its not all about buying or ordering for goods and services but to maintain it, thus in Blogging its not all about buying a host setting up a Blog but avoiding Mistakes, and avoid breaking up the rules which might lead to penalty from top search engine/site as Google. But here are Top Blogging Mistakes every newbie Blogger would make. Why not try bookmark this page and make it your check list so you don’t make the same mistake other Bloggers are making. 1) Using a Free Host plan. There always a principle which follows that there is myriads of side effect from every free things, another say an easy money is not as easy as it seems. a free host could be in form of Bloggers Blog(Blogspot) or Free Hosting service. 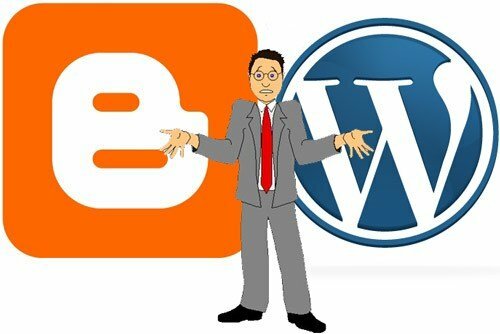 I once used the free Blog plan, and discovered it has lots of disabilities. Again I tried using a Free host service from Nazuka.com and discovered that my bandwidth limit isn’t enough, and the available web space given to me is too little. Thus paying for what I want became my first point agenda. Do you want more traffic on your Blog? Then try adding Images to it, images speak for it self,” Remember a painted image is far better than a thousand word” why not try adding an image to all your post, cause its the integral part of seo. Gone are the days when sub-domain names are been accepted on third part advertisers,but now adays its not. Only few blog that was developed before that policy. Came up still have the adds service on there sub-domain. 4)Blogging with a Complicated niche. Niche is just on word phrase, which tells all about your blog/site. A Niche tells search engine if your Blog is a Technology, celebrity, pet house shop or educational shop. Already Published and Indexed post/pages If a Blogger uses name such as smartphonetips.com , he surly is expected to Bog about smart phone, but when he changes it Niche that’s spamming, regarded as irrelevance to your Blog. What if a Blogger chooses 360crest.com, surly the domain name tells nothing about the Blog,but few post would and a meta description of his Blog would. 5) Missing out Email-Subscriber this is a kind of important part in Blogging, try getting more readers, and Update them about the site they visited before, try gathering few email of your subscriber and when you d so, don’t Flood there mail Box with lots of post, but u can customize a mail and make 20 list of your mostly viewed topics. And send to them, if there name is easily guessed or was attached to the mail you could add it at the opening of the mail. If there name is added as the complementary opening, it won’t be trown straight away into spam mail, but would be in the inbox. You can start by writing something like this Good Day mike am * your name* administrator of your *site name* It seems its been quite a while you visited *your site name*, but all the same, for customer satisfaction, here is a list of Top 20 mostly viewed pages on *your site name* Blog. Top 20 most Viewed pages. 1) *First post goes here*. 2) *seound post goes here* 3) *Third post goes here* Thanks for visiting our Blog mike ,we hope to see you back on our blog soonest. Regards #team_name. And you are done. Try put that to practice and see how it helps you. 6) Blogging irrelevance Factors which determine Blogging include, Blogging what people search for, not what you think of, you can’t be everything in one Blog, I man Blogging about technology,celebrity,smart phone,website and many more, o all you just need to do is to pay attention to what matter most. According to the National Association of Unclaimed Property Administrators, 1 out of 8 people in the United States have unclaimed money... With claims averaging claims of $1,000! Lookup Claimable Federal & State Funds!